Burning Question: Will the Wolfpack’s new lead dog be able to replace its top Cat? A year ago, North Carolina State’s season seemed to have been derailed before it even got started. With the unanticipated departure of All-ACC second teamer and leading scorer Trevor Lacey to the pros, the Wolfpack had lost half of a dynamic backcourt from its surprise run to the Sweet Sixteen. 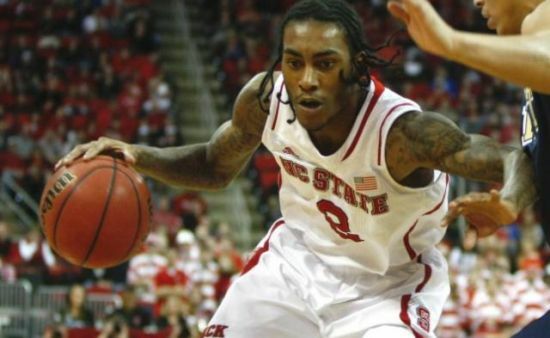 And while Anthony “Cat” Barber did yeoman’s work last season in mitigating the absence of his viable second fiddle, the team just never generated enough traction as the Wolfpack missed the NCAA Tournament for the first time in Mark Gottfried’s five-year tenure. As he embarks on year six in Raleigh, Gottfried once again will be tasked in replacing his leading scorer, as Barber opted for the NBA after a spectacular All-ACC junior campaign. Burning Question: Is Cat Barber ready to replace Trevor Lacey? 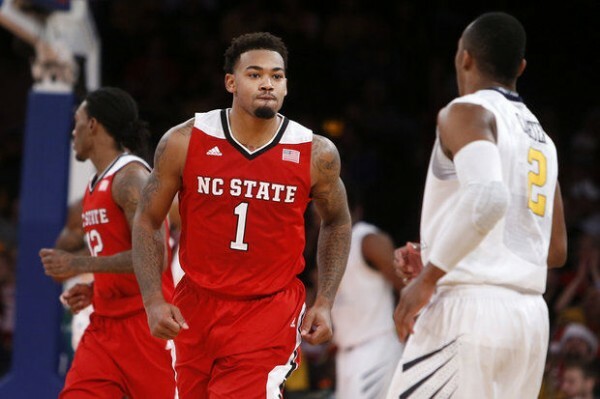 NC State was poised to be overrated if Trevor Lacey came back. They were a good team that would have been returning nearly all of its minutes. Instead Lacey opted to make money playing basketball, leaving head coach Mark Gottfried in an odd but familiar place. Gottfried’s teams tend to do best when they have chips on their shoulders. High preseason expectations can grind down that edge. He may again be in an ideal place to overachieve — ignoring for the moment the talent across the rest of the league. Lacey is gone, but there’s almost no way the junior guard could have lived up to his performance from last season (see Michael Snaer’s senior season at Florida State for a frame of reference). Gottfried can instead turn to Cat Barber to take the helm. Barber looked terrific last season on the heels of an up-and-down freshman year. He should only keep improving, although his efficiency may drop slightly with increased possessions. Barber also gets a new sidekick next to him in West Virginia transfer Terry Henderson. Henderson should fit into Gottfried’s system right away. He’ll make threes and will likely score a lot more points than fans expect. Henderson wasn’t as high-volume a three-point shooter as some of his teammates in Morgantown, but as the best shooter in Raleigh look for him to take more shots. And here we are. 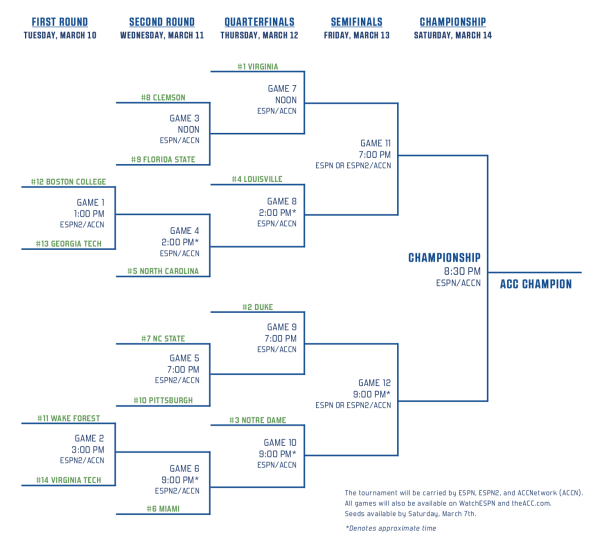 For those of us who grew up from around 1985 to 2001, the mathebracketal beauty of a 64-team field is what the NCAA Tournament is all about. Today and tomorrow are a mixture of so many highs and lows that it’s impossible to keep track of it all. We won’t be able to do that, but we can at least get you ready. Here’s a preview on each of today’s evening games. Enjoy the Madness. 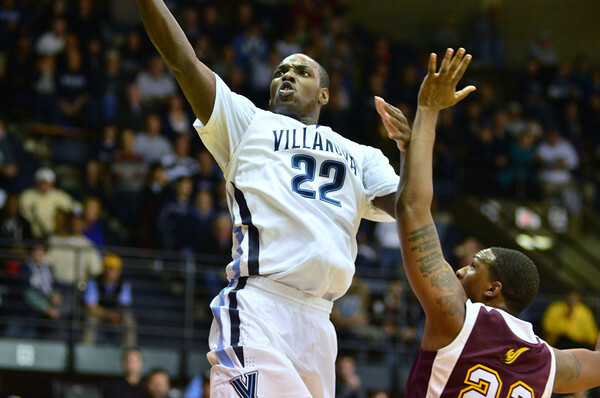 #1 Villanova vs. #16 Lafayette — East Region Second Round (at Pittsburgh, PA) — 6:50 PM ET on TBS. After leading Lafayette back to the NCAA Tournament for the first time since 2000, Fran O’Hanlon now gets the pleasure of facing his alma mater in the Round of 64. Problem is, there won’t be anything pleasurable about it. Villanova enters the Dance hotter than arguably any team outside of Kentucky, ripping off 15-straight wins to end season and drubbing opponents by nearly 17-points per game in that span. The Big East champs boast the fourth-most offense efficient in college basketball, while their defense has allowed over one point per possession just five times since January 19. The Leopards might actually wind up exceeding that mark – their offense is really good, and no other team in the tournament shoots as well from long distance (41.4% 3PT) – but their Patriot League-worst defense simply won’t be able to stop the Wildcats on the other end. Darrun Hilliard (37.8% 3PT), Josh Hart (46.8% 3PT) and the rest of Villanova’s motion attack should have a field-day from behind the arc against O’Hanlon’s zone, and Lafayette doesn’t really have the athletes to stop their dribble-penetration. Leopards’ forward Seth Hinrichs (13.1, 5.8) is a legitimate stretch-four and could have his moments on the offensive end, but barring some strange Pennsylvania voodoo, expect Jay Wright’s bunch to light up the scoreboard and win going away. #8 Cincinnati vs. #9 Purdue – Midwest Region Second Round (at Louisville, KY) – 7:10 PM ET on CBS. Just like in the Butler/Texas match-up, the lower seed is the favorite in this one. Purdue, making its first NCAA Tournament appearance since 2012, is a two-point favorite in this match-up of contrasting styles. The Boilermakers are led into action by junior center A.J. Hammons and Big Ten defensive player of the year, junior Raphael Davis. Purdue’s biggest advantage on any given night is its size. Matt Painter has two seven-footers at his disposal in Hammons and freshman big man Isaac Haas. While Purdue averages a respectable 70 points per game, Cincinnati struggles in that category as it puts up just 62.4 a game. The Bearcats do get strong production from junior forward Octavius Ellis, who leads the team in both scoring at 10 points per game and rebounding at 7.3 boards per game. Expect this game to be a low-scoring grinder that will likely be close until the final buzzer. That being said, Cincinnati’s offensive issues will be too much to overcome and Purdue will move onto the Round of 32. The ACC Tournament gets started in Greensboro today and the microsite will be there throughout the week to provide coverage all the way through Saturday night’s championship game. Let’s tease the next five days with some storylines, players to watch and a not-so-wild prediction. #1 Seed Drama (and the Battle for a True ACC Champion): Duke and Virginia both look like #1 seeds if the season ended today. But there’s one problem — the season isn’t over. Wisconsin and Arizona are both nipping at their heels and if both win their conference tournaments, chances are that the Selection Committee thinks pretty hard about dropping one of those ACC teams to the second line. If either Duke or Virginia wins the ACC Tournament, that team is a lock for the top line. If the Cavaliers and Blue Devils meet in the finals, the loser still has a really good chance. Lose before then, though, and all bets are off. The more important storyline from a conference perspective is the crowning of the true champion. One issue with the unbalanced ACC schedule is that regular season wins and losses aren’t directly comparable anymore. Virginia had the easiest conference strength of schedule of any ACC team (in part because it can’t play itself), but the Cavaliers only played Duke once (at home), North Carolina once (away), Louisville twice, and Notre Dame once (away). Duke, on the other hand, got Virginia once (away), North Carolina twice, Louisville once (away), and Notre Dame twice. The Blue Devils only played one extra game against the top five teams, but that extra game was on the road. What I’m trying to say here is that if we want to crown a true ACC champion with no regrets, Duke and Virginia need to meet on Saturday evening for a neutral-court rematch. Bubble Bath: Heading into Greensboro, the ACC bubble situation is pretty straightforward this year. Pittsburgh needs to walk away with the trophy. NC State is mostly safe (not that the Wolfpack should think about losing to Pittsburgh on Wednesday). Miami is on the outside of the bubble but can definitely play itself into the Big Dance. The Hurricanes need a splashy win (alas, the winner of Wake Forest and Virginia Tech won’t cut it). A win over Notre Dame on Thursday might just tip the scales. Beating Duke a second time would make it a sure thing, and beating any other opponent to make the championship game would probably be enough as well. Orlando Sentinel: Let’s start with our game of the night. Florida State almost came back to knock Miami right out of any NCAA Tournament talk thanks to Xavier Rathan-Mayes turning into a video game character for four minutes. Rathan-Mayes scored 26 points in just 3:36 of action (h/t to Michael Rogner). I’m calling it right now: We’re seeing a serious shakeup in the ACC next year. I think Florida State and NC State are both going to be really, really good. Duke needs Tyus Jones to return and Virginia needs Justin Anderson to do the same. North Carolina will be good with most of its players returning, but the Heels desperately need a shooter. Notre Dame and Louisville will both take steps backwards. That leaves plenty of room for a team or two to jump in from the periphery. SBNation: In our other game of the night, Duke managed to stave off Virginia Tech in Blacksburg. Duke’s defense looks awful (if you had the Hokies putting up an offensive efficiency of over 130.0 — easily the worst Duke has given up this year — please take your lies elsewhere), and while Jahlil Okafor will get the press (and his 30 points that easily could’ve been 35 if he had made some free throws), Quinn Cook is what kept Duke from being blown out of the gym. The Hokies couldn’t miss a three but Cook answered every volley with a shot of his own (including a dagger in overtime). This game highlighted the weird conundrum that is Duke this year: When they’re on, they can beat anyone (and badly); but when the Blue Devils’ defense is struggling, they’re quite average. Nick Fasulo does a good job pointing out how overlooked Cook has been this year, as he’s quietly been one of the most efficient players in the country. His usage doesn’t merit a first team All-ACC selection, but Cook deserves more credit for this team’s success. Washington Post: Moving on to a less competitive game, Wake Forest forgot to show up against an undermanned Virginia team in Winston-Salem last night. It looked like Tony Bennett’s squad was out for blood (the Demon Deacons should have bested the Cavaliers in Charlottesville a couple of weeks ago), and this is a good story on Virginia’s eraser in the paint, senior Darion Atkins. He’s a huge reason why the Cavaliers’ defense is still one of the best in the country even after losing Akil Mitchell and Joe Harris. He’s also a quiet part of why Virginia hasn’t fallen off too much in Justin Anderson’s absence. CBSSports.com: Sam Vecenie took a look at the ACC Player of the Year race, and it’s pretty amazing. You have the National Player of the Year candidates (Jahlil Okafor and Jerian Grant); the stat machines without the accompanying team success to make the national spotlight (Olivier Hanlan and Rakeem Christmas); and you have the awesome players who struggle because a teammate is so good (Malcolm Brogdon and Justin Anderson; Terry Rozier and Montrezl Harrell). That doesn’t even get us to guys like Trevor Lacey or Tyus Jones who have been unreal in the clutch this year. Pretty awesome problem to have. Louisville Courier-Journal: As we approach bracket season, it’s important to not only think about the bubble but also how personnel losses will affect teams’ seeds. It’s unlikely that Rasheed Sulaimon’s dismissal will have any bearing on Duke’s line (the Blue Devils are undefeated with wins over Virginia and North Carolina since he was dismissed), but Louisville without Chris Jones is another story. This is a really thorough look at Louisville’s current profile (along with some explanations of the bracketing rules). EXTRA (via Will Brinson): Abdul-Malik Abu promised two of the Chapel Hill shooting victims that NC State would beat Duke and North Carolina this year (as a wedding present), and with the win over teh Heels he made good on the gift. 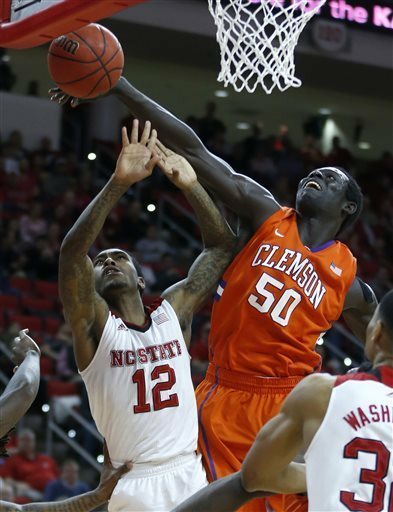 Fayetteville Observer: Let’s start with NC State. The Wolfpack uglied it up last night in Chapel Hill and came away with a convincing win in Chapel Hill (their first in over a decade — couches were burned). Bret Strelow does a terrific job with this profile of Trevor Lacey. It’s full of great information. Did you know Lacey leads the country in points per possession on isolation plays, according to Synergy? Now you do. It also has some great anecdotes from Lacey’s days dominating high school and from his time on the scout team. My two favorite parts were Mark Gottfried dropping, “I remember when I got drafted by the Pistons” as an introduction to a story. Gottfried was drafted in the seventh round! I mean there were only 23 teams back then, but that’s an elite-level humblebrag. My second favorite tidbit was that Lacey credits former Duke guard Austin Rivers as the inspiration for some of his moves. That was completely unexpected. The Cauldron: Ever wondered what it’s like to be the PA announcer at Cameron Indoor Stadium? Trip Durham (Duke’s PA announcer) gives us all the details. He grew up a North Carolina fan, but he’s now fully integrated into the Duke home game experience. It’s interesting that Durham feels like the job connects him back to his childhood and his late father. PA announcers generally fly under the radar (except at Wake Forest games; you won’t miss the distinctive growl), but it’s fascinating to see another side of the coin. Syracuse Post Standard: Time to talk some bracketology with Patrick Stevens. If you don’t keep up with Stevens’ work, he’s been one of the best in the business for a few years now, so it’s worth checking in with his regular columns. The only real questions in the ACC are: “Will NC State and/or Miami get in?” and “Who earns a #1 seed?” Right now the answers seem like yes and no, respectively; and Duke and Virginia (although I’d be surprised if both manage to get a top seed unless there are a flurry of upsets in other conference tournaments). The Pitt News: Remarkably, Pittsburgh managed to stay in the NCAA Tournament conversation (barely) by eking out a home win last night over Boston College. The reason the Panthers still have a shot to make it into the Dance is because they have a fairly strong RPI. They’ll be hurt by an abysmal non-conference schedule, but Pittsburgh is a (very) strong ACC Tournament run away from the right side of the bubble. Now the real story from the Pittsburgh win is that Boston College’s Olivier Hanlan scored 39 points on 20 field goal attempts! That’s incredible. Fingers are crossed that we see Hanlan go unconscious again this year in Greensboro. JohnGasaway.com: Tuesday Truths are back! Why is this week noteworthy? Duke and Virginia appear to be separating themselves from the pack (I imagine even more so now, given last night’s results). That’s far from unexpected, but it hasn’t been the case until just recently. It’s somewhat misleading to say Virginia is distinguishing itself because its efficiency margin has plummeted since losing Justin Anderson to injury (thanks to an anemic offense) — although it was bound to suffer, it has dropped by 30 percent in the last three weeks. Duke. The Blue Devils showed the dismissal of Rasheed Sulaimon was not going to be a distraction for them, as they went into John Paul Jones Arena Saturday and knocked off previously unbeaten Virginia. Avoiding a letdown after that big win in knocking off Georgia Tech at home was nice to see from such a young squad, too. Louisville. The Cardinals had an impressive week, exacting revenge on North Carolina in an impressive comeback fashion at home and emerging victorious from a road trip at Miami. The offense is coming around, making Rick Pitino’s team look as if it may be peaking at the right time. Clemson. How many casual ACC fans realize that the Tigers have reeled off four straight wins? 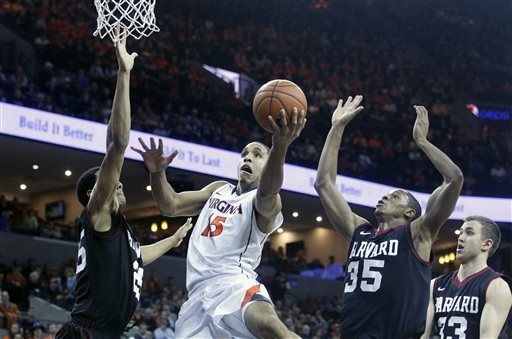 Their demolition of NC State in Raleigh was particularly impressive on January 28th, but taking care of two teams they should defeat in Boston College and Florida State this week showed the team is still battling for a ticket to the Dance for Brad Brownell. Wake Forest. Danny Manning’s team, so close in so many defeats this year, had a nice week in dispatching of Virginia Tech and defeating a talented (but hard-to-figure out) NC State team. More importantly than that is that the Demon Deacons may be regaining some of the home-court edge they lost during Jeff Bzdelik’s tenure. Terry Rozier, Louisville. Rozier has four straight 20-point games, but his matching 22-point performances this week were huge for Louisville in overcoming the Tar Heels in overtime and winning the tough road test against the Hurricanes. He and Chris Jones continue to make life easier for Montrezl Harrell down low, and some argue Rozier is the Cardinals’ most dangerous offensive threat. Justise Winslow, Duke. Whether or not it was accurate that Winslow was hitting the “freshman wall,” he broke out of it in fine fashion this week. With Jahlil Okafor hounded by Virginia’s double teams, Winslow willed the Blue Devils to victory with a 15-point, 11-rebound performance. He matched that effort with another stat-stuffer against the Yellow Jackets: 15 points, 10 rebounds, three assists, two blocks, two steals. Some believe he’s the key cog in the Duke machine going forward. As we welcome 2015, the ACC’s 15 teams have all concluded their non-conference seasons. In the New Year’s edition of this week’s ACC Stock Watch, we’ll examine the league’s trending players and teams based on how they were predicted to finish in conference play (you can view the preseason ACC media projections here) and how they’re playing now. Duke. The Blue Devils are on fire to start the season. 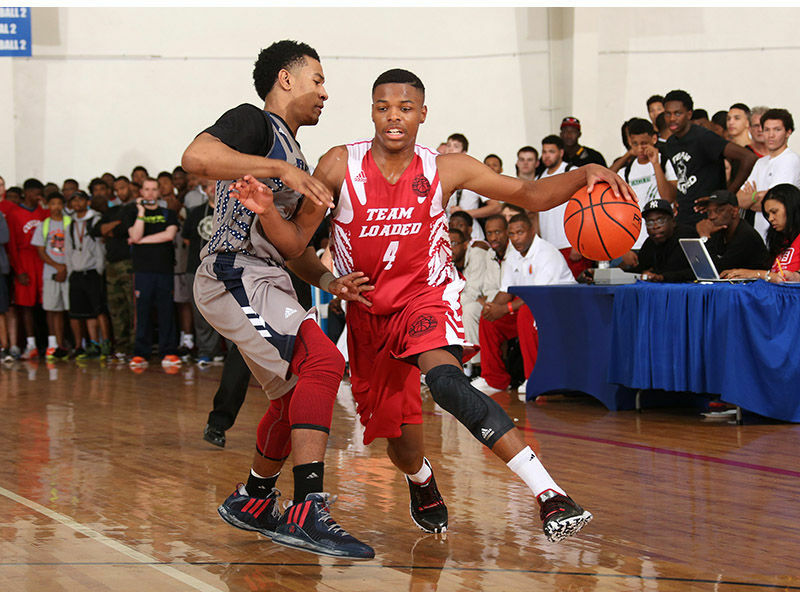 Their veterans have ceded major roles to the star freshmen without complaint or drop-off in production. Their 12-0 start includes good wins over Michigan State, Wisconsin, Connecticut, Temple and Stanford. 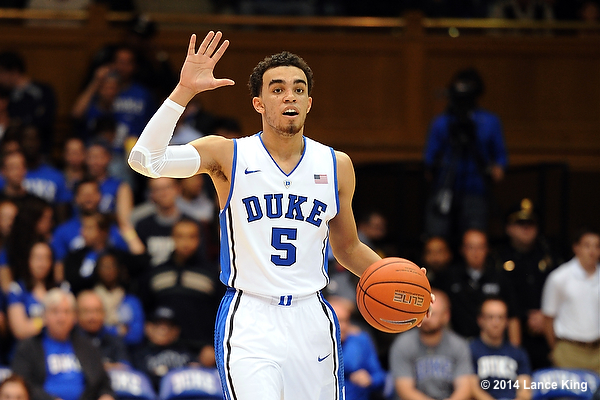 Tyus Jones, Duke. Taking over the reins of a national championship contender is difficult enough, but unseating a senior in Quinn Cook and maintaining harmony on the floor is really something else. Jones has emerged as a true revelation and has made the Duke offense (the most efficient in college basketball) hum. Even his high school coach didn’t think he’d be this good so fast. Virginia. Everyone knew the Cavaliers would be good again, but possibly better than last year? They’ve already held two teams to single-digit points in a half, and Akil Mitchell and Joe Harris have been capably replaced. Hopefully the recent defensive showing against Davidson was an aberration (72 points allowed by a Virginia team that had holds opponents under 50 per game on the year). Notre Dame. A 13-1 start is great and this team is rolling on the offensive end. The Fighting Irish currently rank third in the country at 86.0 points per game and are shooting an otherworldly 55.4 percent from the field (best in the country). However, questions exist about the strength of Notre Dame’s non-conference schedule. Notre Dame. All the Fighting Irish have done since we last checked in is to reel off five straight wins, bringing their overall record to 12-1 (including an early ACC win over Florida State). Mike Brey’s team is one of the most dynamic offensive groups in the country, averaging 86.1 points per game and putting up 94 and 91 points, respectively, in blowout wins over Purdue and Northern Illinois. More impressive than the overall offensive output in those two games is that Jerian Grant scored a total of 21 points on just 5-of-22 shooting from the field. Once the All-American candidate returns to form, look out. Virginia. Don’t look now, but the Cavaliers are finally getting their due as a serious national title contender. Tony Bennett’s team may be even better defensively this year than last, holding a talented Harvard team to eight first-half points en route to an impressive 76-27 win following a 17-point victory over rival VCU in Richmond two weeks prior. Duke and Louisville have gotten the majority of the attention so far, but the Cavaliers’ 11-0 start is something more pundits on the national scene are paying attention to. North Carolina. For all of the talk about this team’s uneven play and noticeable deficiencies, the Tar Heels actually have put together a nice stretch since our last stock watch. Although they fell to Kentucky in Lexington, it took the Wildcats’ best shooting day of the year to knock off the Tar Heels by a mere 14 points (plus North Carolina actually outscored the Cats in the second half). In addition to blowout wins over East Carolina and UNC-Greensboro, the Heels won an important non-conference battle with a good Ohio State team last weekend. At 8-3, there are still some reasons for pessimism in Chapel Hill, but you can’t ignore that Roy Williams’ team has earned some solid wins while playing the ACC’s toughest non-conference schedule. It’s Exam Week in the Atlantic Coast Conference, so what better time than the present to analyze the basketball aptitude of the 15 member institutions? Below we present three groupings: the teams representing the head of the class; those with the potential to improve on their early season results; and the disappointments. There’s no sliding scale to our grading system, so the teams were evaluated on how they have performed no matter their preseason expectations (sorry, tough professor). Duke has earned nothing shy of an A+ thus far, playing like a team that’s clearly a national title contender. The freshmen and veteran holdovers have meshed beautifully, and the Blue Devils’ 8-0 record includes a quality win over Michigan State as well as a very impressive defeat of fellow contender Wisconsin on the road. Louisville is having no problem representing its new conference in an 8-0 start, save for a head-scratching 45-33 win over Cleveland State. Knocking off Ohio State in the ACC/Big Ten Challenge as well as wins over Minnesota and Indiana leave the Cardinals looking like a contender for the crown too. Montrezl Harrell has been as good as advertised, and the long-awaited emergence of Wayne Blackshear makes this a very dangerous team. 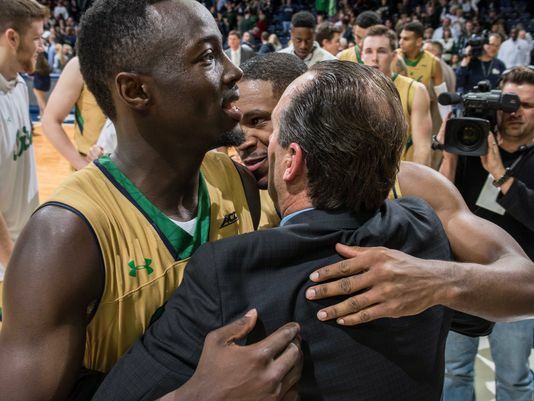 Notre Dame sure missed Jerian Grant down the stretch last season. Now that its leading man is back from suspension, the Irish have started off hot. They’re a one-point loss to Providence from being 10-0 and they can present a quality win by virtue of besting Michigan State. Four double-figure scorers contribute to the 10th highest-scoring offense in the country at 85.1 points per game. Could Virginia actually be better than last year’s conference championship-winning team? The Cavaliers have let Justin Anderson loose, and he has been nothing short of a star to pair along with Malcolm Brogdon. They’re still one of the best defensive teams in the country and have shown they can win playing multiple styles, counting road wins over Maryland and VCU already on the resume. Miami is probably the pleasant surprise of the conference thus far, sporting a 9-1 record and earning a spot few saw coming in the national rankings. We’ll excuse the hiccup against Wisconsin-Green Bay (the same team that nipped Virginia early last year) since the Hurricanes have already beaten Florida and Illinois. Transfers Angel Rodriguez and Sheldon McClellan have allowed the other players who were asked to do too much last season to return to more comfortable supporting roles.